Ever since I started using IOS Maps, I have gotten myself lost a couple of times and that stopped me from using the unreliable app. While Google maps remain one of the best navigational apps around, Apple is slowly making efforts to improve their own IOS Maps and tweaks to enhance it’s experience. I guess one of the few imperative measures of a successful navigational app is the reliability and user experience. 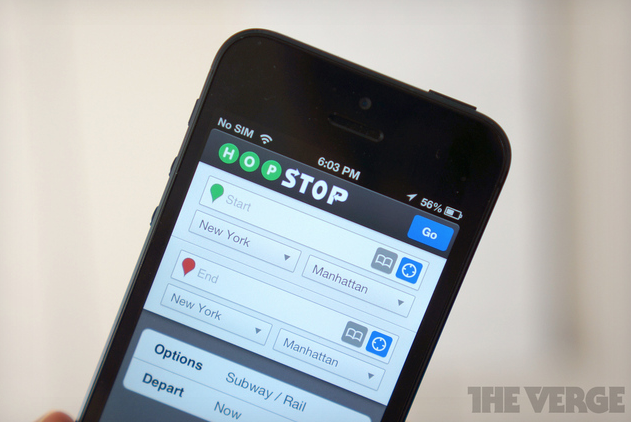 Apple is reportedly buying HopStop, a transit navigation app. This would likely boost their current Maps app for IOS with an offering that it lacks when compared to Google Maps. As HopStop offerings public transit directions in well over 500 cities around the world, it also have options for both IOS and Android. These days it is essential to have both database and technology to be highly sought after. Apple has confirmed that it will be purchasing HopStop but would not elaborate further. At the same time, it is also reported that Apple will be purchasing Locationary, a crowd-sourced location data company. All these acquisitions shall improve and enhance the capability of it’s app. Sometimes you just got to get the right people for the right job and leave it to them to deliver that result. I must say I am giving Apple respect on their effort to make up for their mistakes and their foresight to make pragmatic business acquisitions Seems like Tim Cook is well on his way to fulfill his promise after his apology a while ago for the bad Maps experience.